PMT is proud to be a Value Added Reseller for Networked Energy Services Corporation (NES). NES is a global smart energy leader in the worldwide transformation of the electricity grid into an energy control network, enabling utilities to connect to their customers, offer new services and help utilities them compete more effectively, through solutions which can help reduce operating costs, provide expanded services and help energy end users to become active participants in energy conservation. NES has its headquarters in the US, with design and R&D Centres located in Silicon Valley, CA, and Fargo, ND, and sales offices throughout the world. Networked Energy Services' solution, based on Open Smart Grid Protocol (OSGP), is used in more than 4 million smart end points by utilities around the world. The NES MTR3000 is designed for residential and small commercial energy consumers. 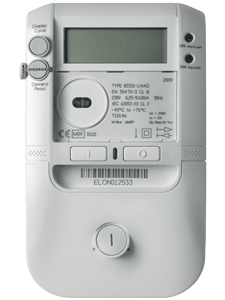 The meter sets a new standard for revenue-grade smart energy meters. Safe, accurate, and reliable, the meter incorporates a full suite of operating features with an integrated, software-controlled disconnect switch, a comprehensive information display, and Echelon’s robust, bidirectional power line signalling technology. Each meter, which is automatically managed by an NES Data Concentrator, can also act as a repeater to reach other meters. This lets it create a power line-based meshed network of meters that exactly matches the real topology of a utility’s low-voltage distribution network. Smart grid device and revenue-grade residential and small commercial smart meter. Collects industry leading variety of grid health data elements as well as provides alarming on deviation of power distribution service levels. 4x16 load profiles for flexible collection of sensing and metering data for grid health management applications and smart metering. CT meters also provide real-time sensing and visibility so you can manage assets and control distribution losses. 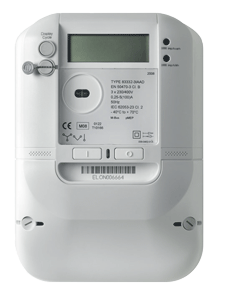 Smart grid device and revenue-grade residential and small commercial customer smart meter. Collects industry leading variety of grid health data elements as well as provides alarming on deviation from power distribution service levels. 4x16 channel load profiles for flexible collection of sensing and metering data for grid health management and smart metering applications. Creates and optimises the low-voltage power line mesh to ensure reliable communications. Securely configures devices to communicate on the encrypted ANSI- and EN-standard LONWORKS® power line network. Coordinates the bidirectional delivery of device data, including metering data. Monitors the health and operation of the devices. 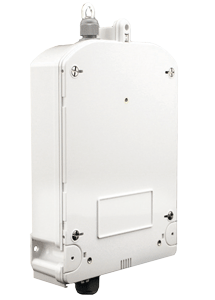 The NES DCN1000 Data Concentrator manages smart meters and other smart grid devices on a neighbourhood area low-voltage power line network. It provides the connectivity infrastructure between these devices and the NES System Software at the utility’s service centre.